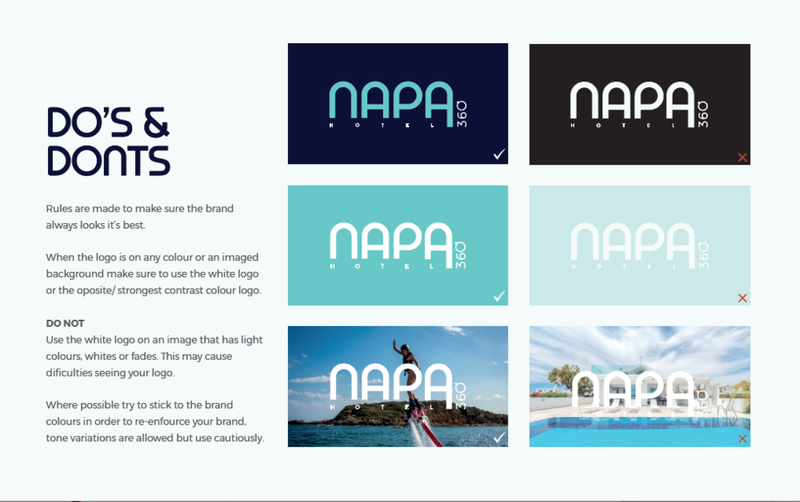 Napa 360 approached Up Hotel Agency and asked for a logo to be created for their hotel with a 360 degree view based in Ayia Napa Hotel. They wanted something that portrayed high end luxury but were actually reasonably priced and sometimes budget prices. They wanted to appeal to all age groups and incorporate the beach vibes with an element of sophistication. The logo portrays the beach/ sea in the 'P' empty space, the city scape of the typo arrangement and the 360 degree domes at the top of the hotel.